The best performing RO over the period 2010-2012 is the American Bureau of Shipping followed by Det Norske Veritas and Lloyds Register. Germanischer Lloyd has dropped out of the top 5 and has been replaced by Korean Register. 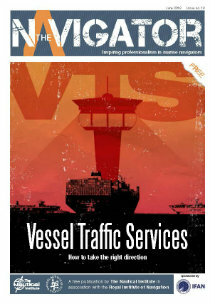 The worst performing RO is Phoenix Register of Shipping (PH.R.S), located in Piraeus, in Greece. The combination of Sierra Leone and Phoenix Register of Shipping resulted in a 41% detention rate. The Republic of Moldova with Dromon Bureau of Shipping scored a 33% detention rate, followed by Saint Kitts and Nevis and International Register of Shipping with 12%. 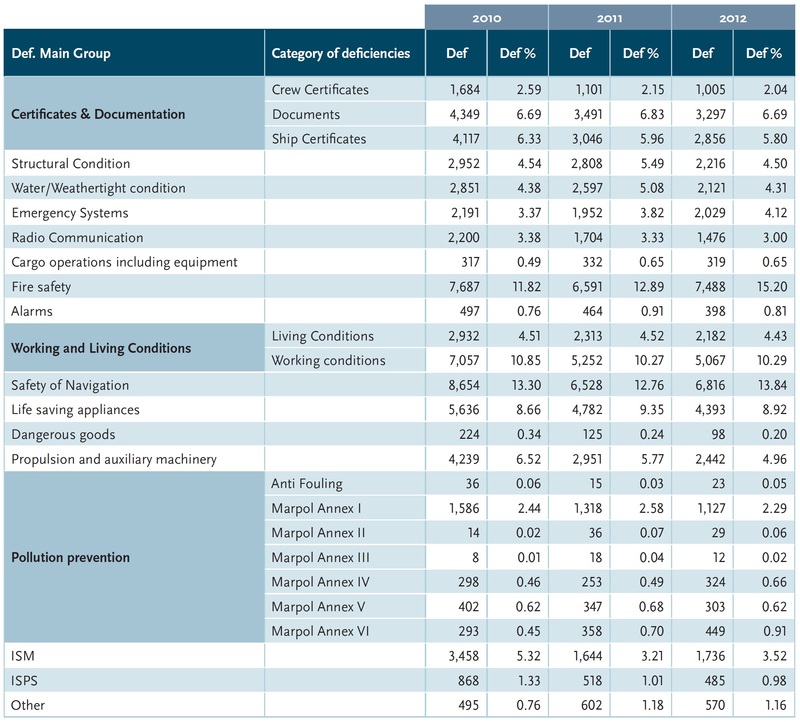 The introduction of the New Inspection Regime during 2011 had an impact on the 2012 figures. A decrease in total number of inspections has continued, as well as the total number of deficiencies. Compared to 2011 the detention percentage has stabilized on 3.6%. 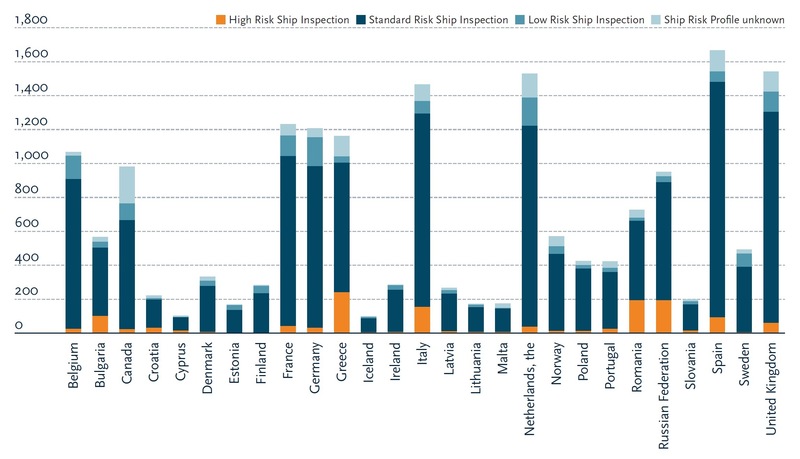 Italy, the Netherlands, Spain and the United Kingdom contribute most to the overall inspection efforts in terms of percentage. 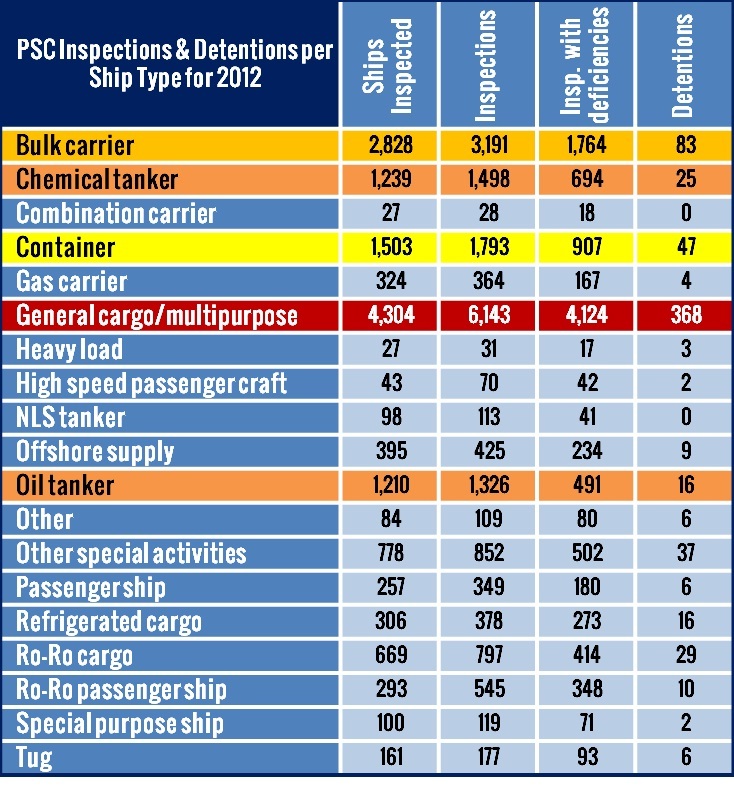 In 2012 a total of 15 ships were banned. 5 less compared with last year. Multiple detentions was the most common reason for banning in 2012. In the period from 1 September 2012 to 30 November 2012 a Concentrated Inspection Campaign was carried out on Fire Safety Systems. The Concentrated Inspection Campaign problem areas included fire pumps and its pipes, fire fighting equipment and appliances, and the fire control plan. 51% of the detained ships were 30 years or older. Extensive information about PSC statistical figure for the PSC of the Paris MoU can be found in the Paris MoU PSC Annual Report for 2012.